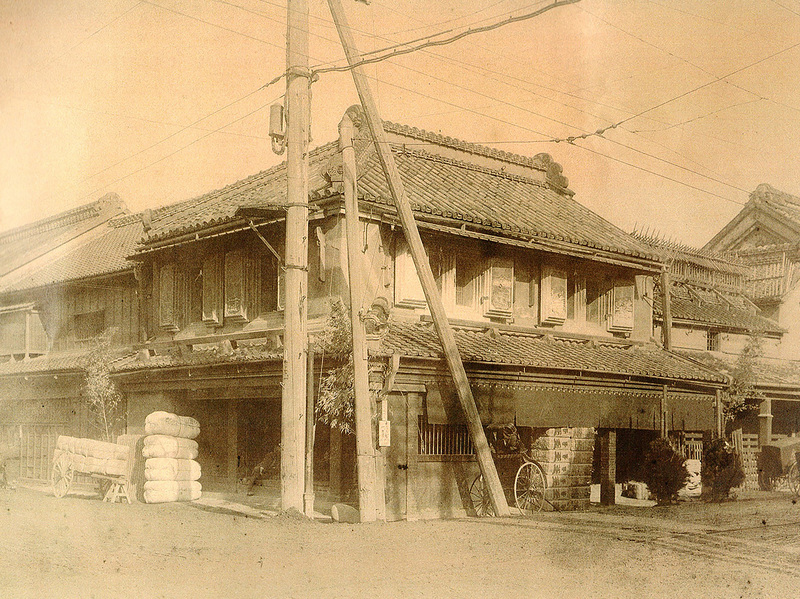 The History of Ozu dates back to 1653, when Ozu Seizaemon-Nagahiro opened a store in Otenma-cho, Edo (today's Tokyo) at age 29. The trade name was Ozu-ya with the triangle logo with the Chinese character meaning long and lasting inside. The name comes from his friend's strong advice, saying it brings good fortune and makes the shop successful. Then, Nagahiro bore his name of Ozu-ya Seizaemon or Ozu Seizaemon. 1653 Ozu Seizaemon-Nagahiro founded a wholesale paper store, Ozu Seizaemon-ten at Otenma-cho (present location) in the downtown area in Edo. 1698 He opened a cotton cloth shop in Otenma-cho. 1755 The store was participated in the exchange operations in Edo for the Kishu clan, one of regional feudal governments. 1784 Seizaemon-Nagayasu the seventh opened a shop named Ohashi-ya, dealing in tea and dried bonitoes. 1880 Ozu takes over a business from Tokyo Yoshi Ltd., and changes its name to Ozu Yoshi-ten capitalized at ¥100,000. 1886 A cotton-spinning company, Tokyo Boseki, capitalized at ¥500,000 was established, tying up with other stores for wholesale cotton cloth. 1886 Ozu Bank capitalized at ¥100,000 was established in Matsusaka, Mie Pref. 1903 A spinning mill producing fine yarns, Ozu Hosoito Boseki-sho was established by acquiring a factory owned by a company named Nihon Hosoito Boseki. 1920 Ozu Hosoito Boseki-sho established Ozu Burin Kigyo Co., Ltd. absorbing Burin Yoko. 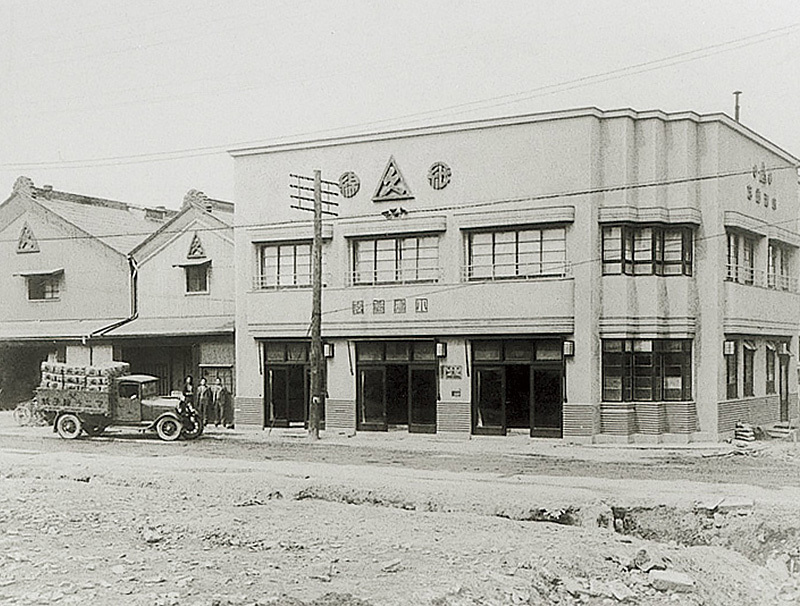 1927 Due to the 1927 Financial Crisis, Ozu Bank merged with Yokkaichi Bank (the present Mie Bank). 1929 Ozu&Co. was founded to incorporate business. 1939 Aiming at the modernization of management, Ozu Shoji Co., Ltd. was founded at Nihombashi, Tokyo, (the location of today's headquarters). 1994 The Ozus' Histrical Documents were registered on Chuo-City-Registered Tangible Cultural Properties. 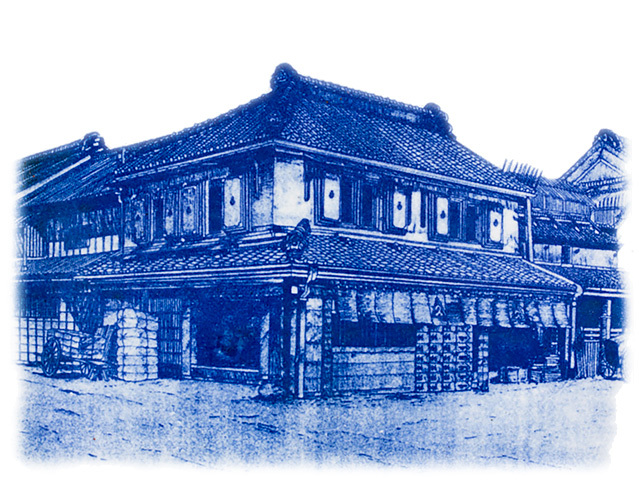 1998 The Ozu Historiy Museum was opened inside the Ozu Washi Hakubutuho (today’s Ozu Washi). 1999 Items of daily business used at the Edo Ozu Shoten were registered on Chuo-City-Registered Tangible Folk Culture Properties.